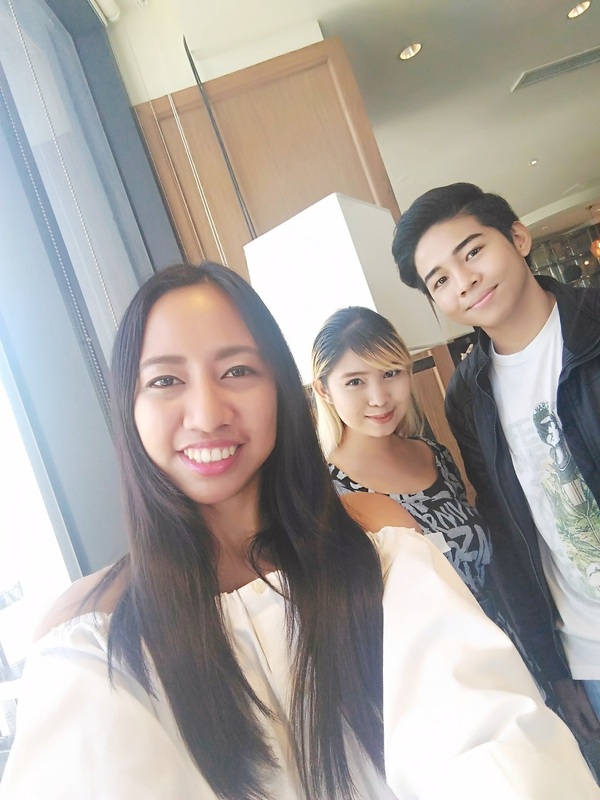 Now you don’t need to secure your flight schedule, and jet to Israel just to experience the so-called elixir of beauty because, the same elixir is just standing right inside Century City Mall. 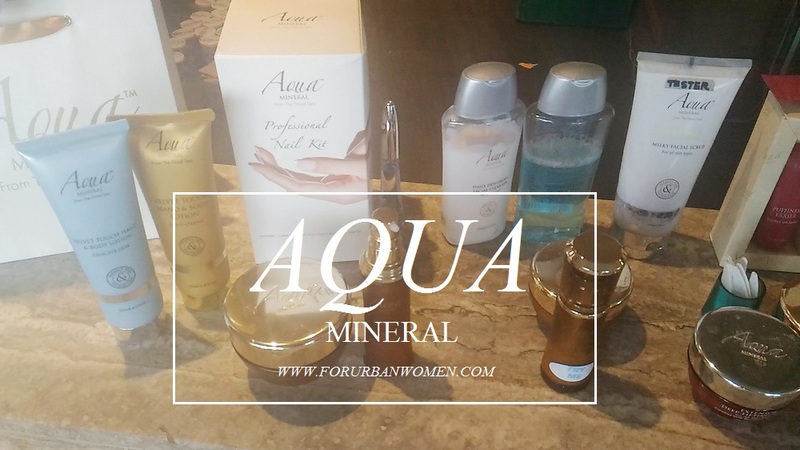 Aqua Mineral skincare is known for its all-natural components and are based on minerals found from the Dead Sea, Israel. If you’ve been watching international travel channels, you might probably see and heard about the health benefits The Dead Sea gives, and numbers of tourists including locals per se have attested that. 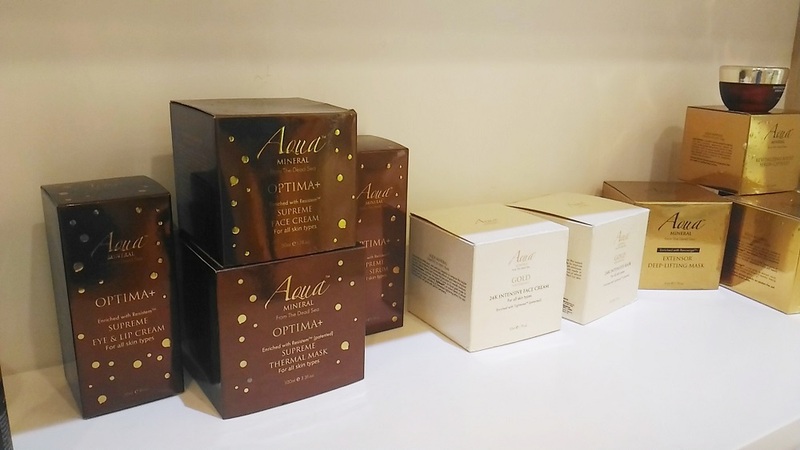 People from all over the world take advantage of its water high concentration of minerals and vitamins, and that Aqua Mineral skincare line gives you the same. 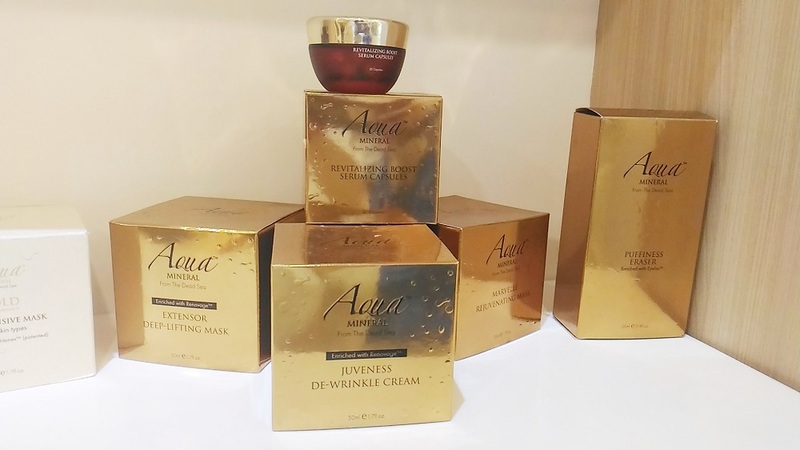 Aqua Mineral™ is a complete beauty care line created to promote the skin’s well-being and counteract the effects of aging. . Based on wonder working Dead Sea minerals, famous for their remarkable health and beauty benefits, and mixed with innovative Renovage™,Resistem™ and Tightenex™ technology, Aqua Mineral™ revolutionizes traditional skin care solutions by working with your skin's natural powers of recovery, helping it to achieve a naturally healthy glow. And we bet everyone is dreaming of it! 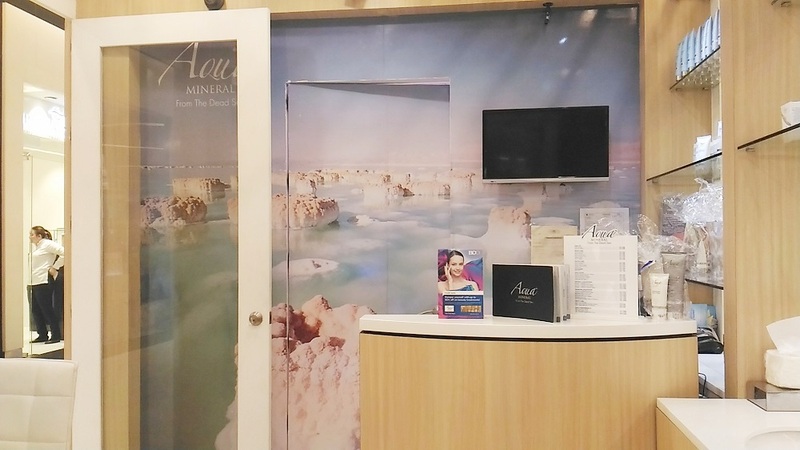 Apart from having a wide-range of anti-aging skincare line and offers skincare treatments, Aqua Mineral now offers its new Salt Therapy Room, available to their three branches here in the Philippines - Robinson’s Malate, Gateway Mall and Century City Mall. 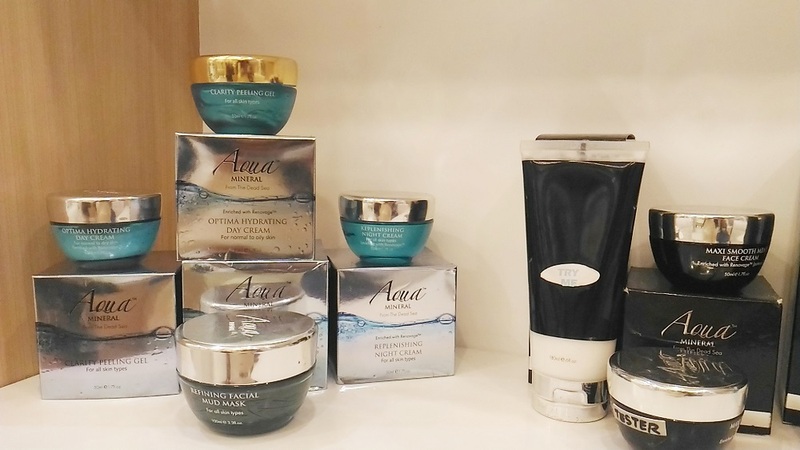 Aqua Mineral embraces and celebrates the power of nature’s oldest crystal. The Salt rooms provide you a dry, sterile and pollutant-free environment. Salt therapy is safe non-invasive and is naturally anti-inflammatory and enriched with negative ions. The more negative ions you are exposed to, the better and more energized you feel! Salt therapy is recommended as a positive addition to regular medical care and is offered as an alternative and complimentary healing method, thus expanding treatment options. 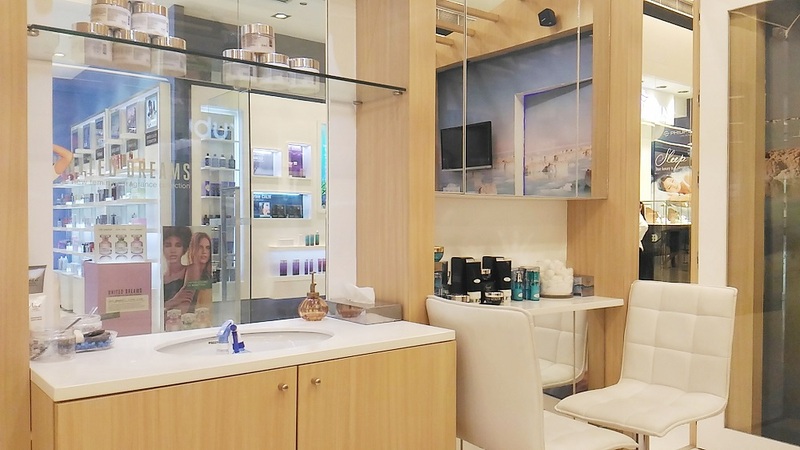 Aqua Mineral’s pride – salt therapy room at Century City Mall. Many studies believe salt therapy can help with conditions ranging from skin problems like eczema to breathing problems like asthma. A salt room also helps to moisturize and rejuvenate dry, dull skin. Some experts also tells that having a salt treatment will helps you improve health, increase respiration and even boost your mood. A 30-minute treatment involves relaxing in a quiet, low-lit room (picture above) lines with salt, as a halo generator blows salt into the air. Just sit back and breathe deeply. It’s relaxing, comforting and you’ll finish with a good positive vibe. Discount packages are available. 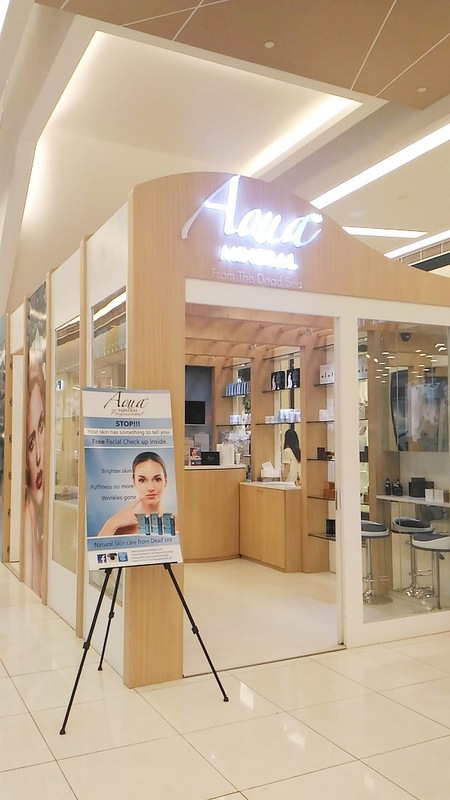 For pricing, contact Aqua Mineral at aqua@cosmetigroup.com.ph and www.facebook.com.ph/aquamineralph Instagram @aquamineralph, Twitter @aquamineral_ph. Meanwhile, check some of our snaps during Aqua Minerals launch at The Observatory, Knightsbridge Residences. Saturday all white! I was so excited to wear this top that I DIYed recently. I love this coz it's an old top from TM Lewin. 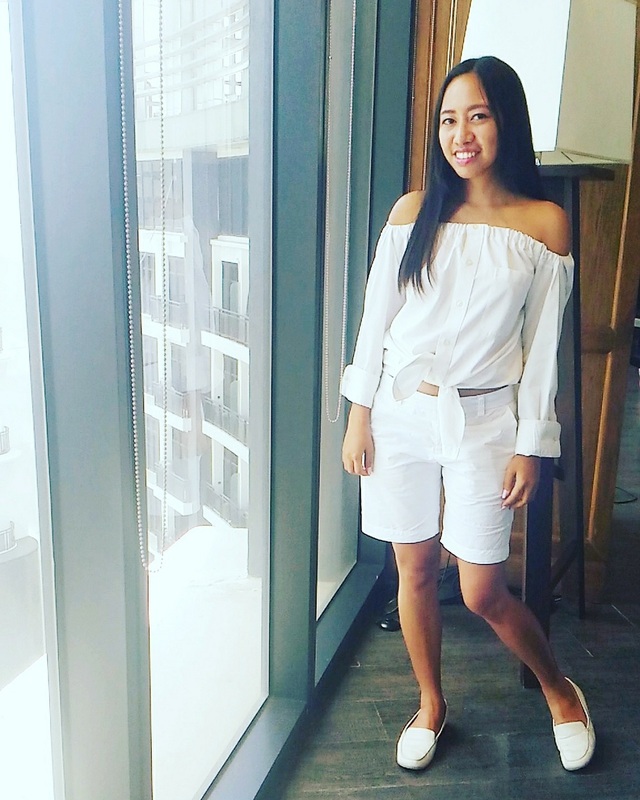 White cargo shorts that I bought from UNIQLO, and my vintage Le Saunda loafer shoes. Group photos with the candidates for the Miss Tourism Philippines 2016. I couldn’t wait to try The Salt Therapy Room soon! You always find the best new beauty products! 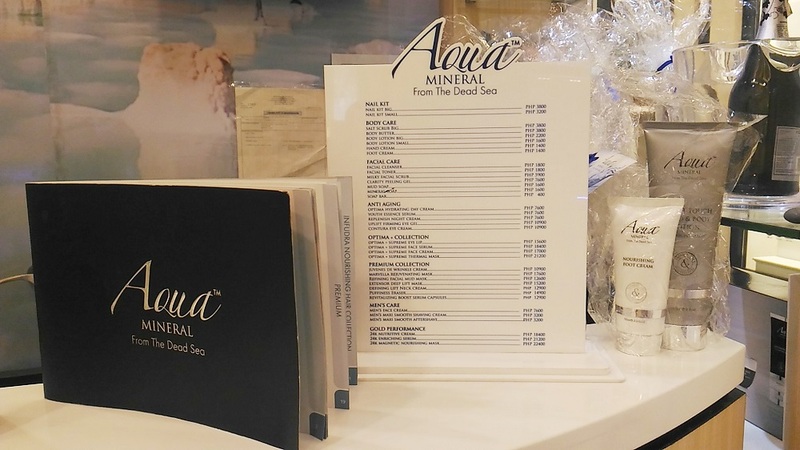 I've heard such amazing things about the benefits of the Dead Sea minerals! This looks nice! I do get dry skin so I'll have to keep these in mind. Thank you dear, its one of the good product but its quite pricey! The containers alone for these are so pretty, I don't know how I could pass them up! Yeah so attractive, and luxurious! Oh this sounds so wonderful! I would love to try this! 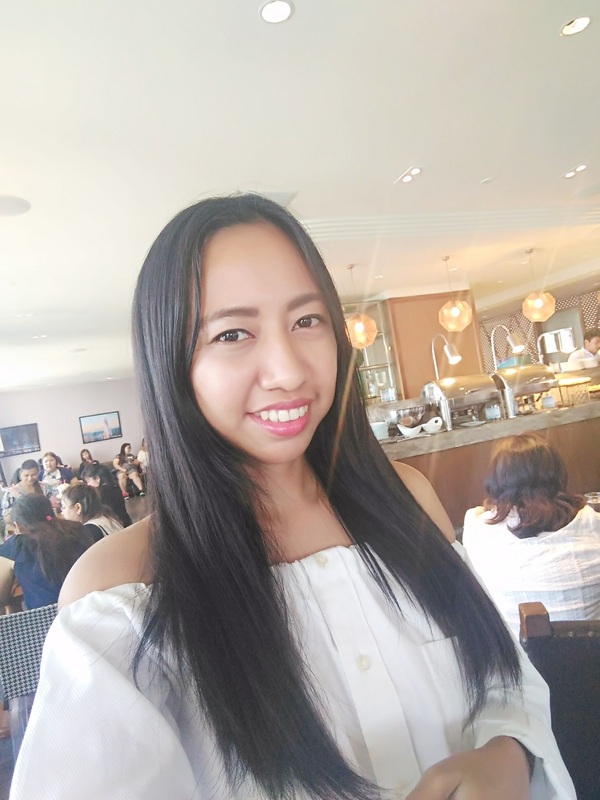 Thanks Victoria, and you should discover too the wonders of dead sea salt. I've never heard of a salt therapy room. It sounds really interesting. I'll try it in my bathroom and just have my kid throw salt at me with a blowing fan. You think that would work? Meh, probably not the same effect. LOL! Recently I seldom visiting the salt room, so what I do is I use their dead sea salts and just pour it in my tub, and allow my body to soak in it hours an hour. It's refreshing! Yeah, and its also airtight, another thing I like about it. 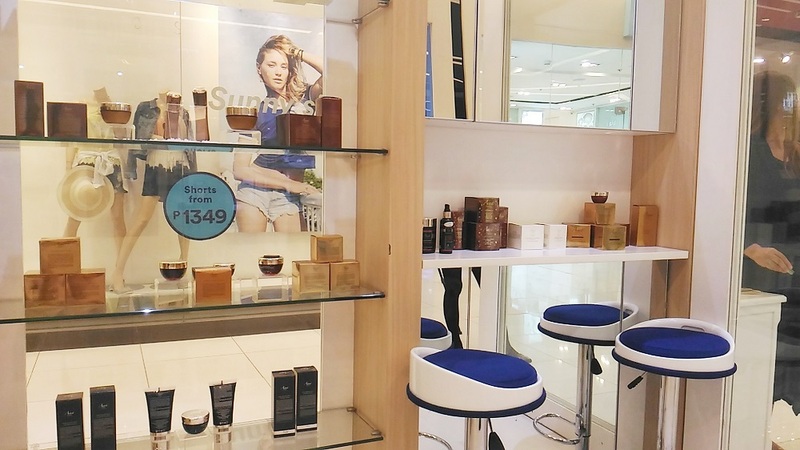 While I don't yet have to worry much about aging effects, I'm sure these products would help counteract summer sun effects! Yeah, but now I don't want to regret not taking care of my skin. I need to act immediately, lol. I don't want to see myself wrinkly at early age. Awesome post! Definitely heard about the minerals in the waters of the Dead Sea and it's interesting to find it in a product. Never heard of this brands but will check it out! Great post. I really like using things that have minerals in it and love info about the Dead Sea. Yeah me too, I included visiting the Dead Sea on my travel bucket list when I visit Israel. 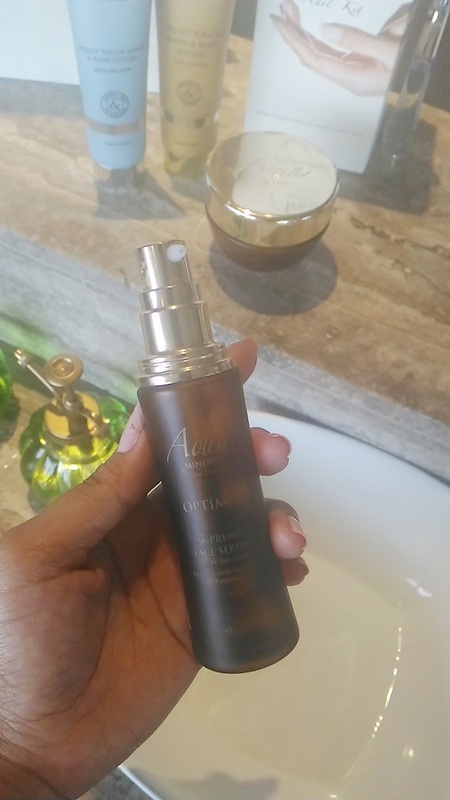 Thanks for visiting Amrita, yeah you should try!